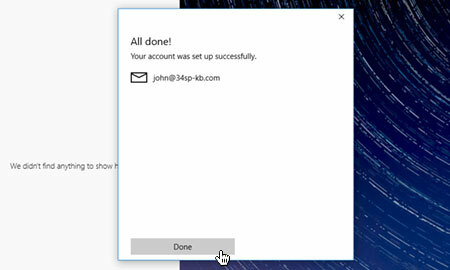 This is a quick step-by-step guide to setting up email on Windows 10 Mail. 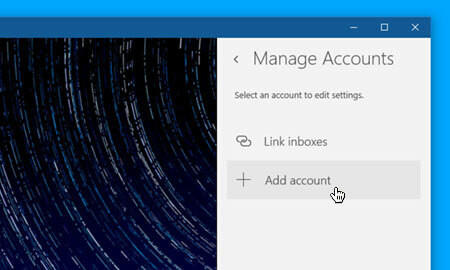 Firstly, you'll need to open Windows 10 Mail by clicking on the Start button, then clicking on 'Mail'. 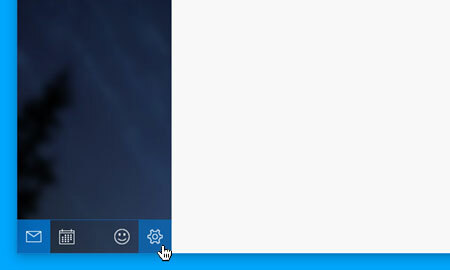 Once Windows 10 Mail has opened, choose the 'Settings' icon (the cog) from the menu located at the bottom of the app. 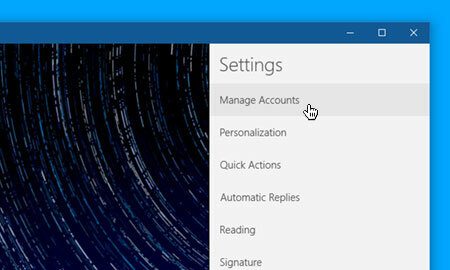 Then simple choose 'Manage Accounts' from the settings menu that appears on the right hand side of the screen. Then simple click on the option labelled 'Add Account'. 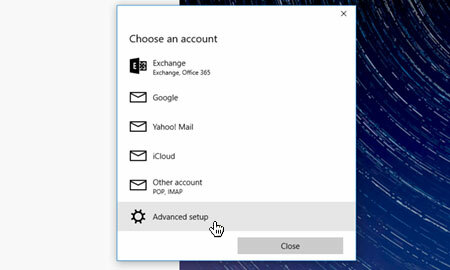 After you have entered your e-mail address and password, choose 'Advanced setup' from the list of different account types. Then choose 'Internet email' to set up your account details. You will be presented with some new form fields to fill in. Firstly, enter your e-mail address in the field labelled 'Account name'. Next, enter your full name in the field labelled 'Your name''. This will appear in the 'from' field, when you send e-mail from this address. In the field labelled 'Incoming email server' please enter 'mail.34sp.com'. 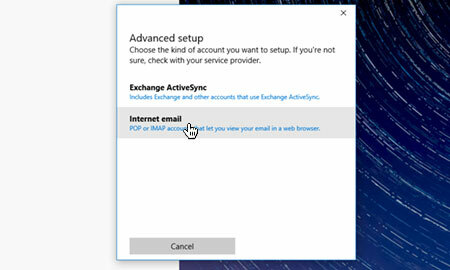 Then choose your protocol via the 'Account type' dropdown menu (we strongly recommend IMAP). Enter your e-mail address in the field labelled 'Email address', then enter your e-mail address again for the field labelled 'Username'. In the 'Password' field, enter the password associated with your e-mail address. 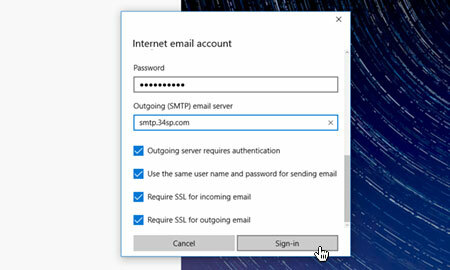 For 'Outgoing (SMTP) email server' please enter 'smtp.34sp.com'. Finally, ensure the 4 checkboxes at the end of the form are all checked. When you have entered the relevant details, click 'Sign-in' to proceed to the next stage. If you have entered your account details correctly, you'll see a message reading 'All done! - Your account is setup'. Simply click the button labelled 'Done' to complete the setup process. 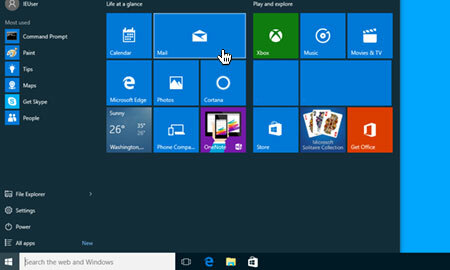 You are now ready to send and receive email using Windows 10 Mail.